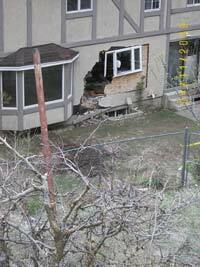 Boulder that damaged the vacant house at 1496 North 1550 East, Provo. 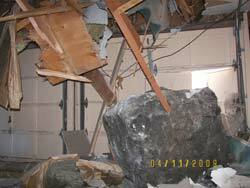 Boulder is estimated to be 4x5x4 feet. 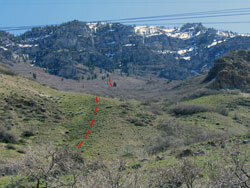 Photo courtesy of the Provo Fire Department. 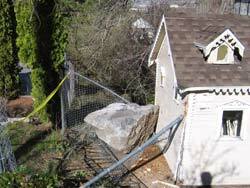 At 1496 North 1550 East, a boulder bounced over the back fence and into the back of the house. 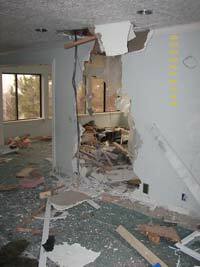 Inside the house, the boulder damaged the ceiling and crashed through a wall, before falling through the floor and into the garage door. 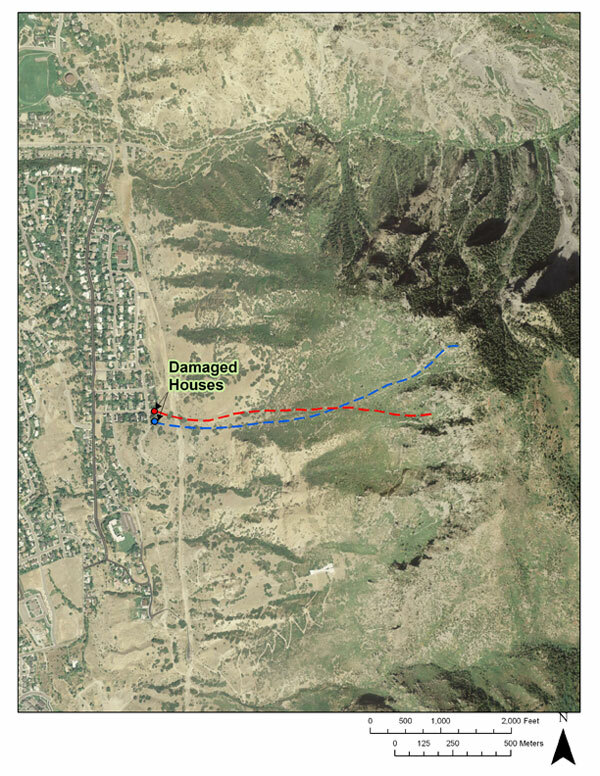 The source for the rock fall in both 2005 and 2009 is a cliff band in the Mississippian Deseret Limestone on “Y” Mountain about 2,600 vertical feet above the houses. 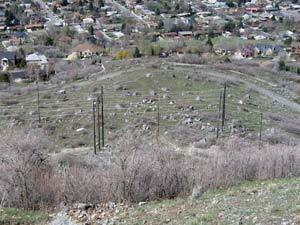 Numerous large rocks from prehistoric and historical rock-fall events are scattered throughout the neighborhood and on the hillside above, indicating these lots are in a high rock-fall hazard area. 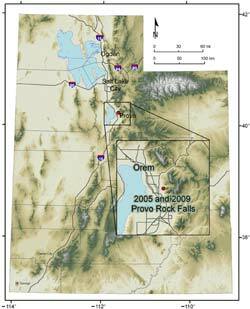 Although the occurrence of this rock fall does not necessarily indicate a heightened rock-fall hazard under present conditions, rock falls are possible in this area at any time and typically occur with no warning, often during and following storms, periods of snowmelt, and earthquakes. This report is preliminary (04/16/09) and subject to revision; it is presented here to facilitate a timely release of pertinent information.